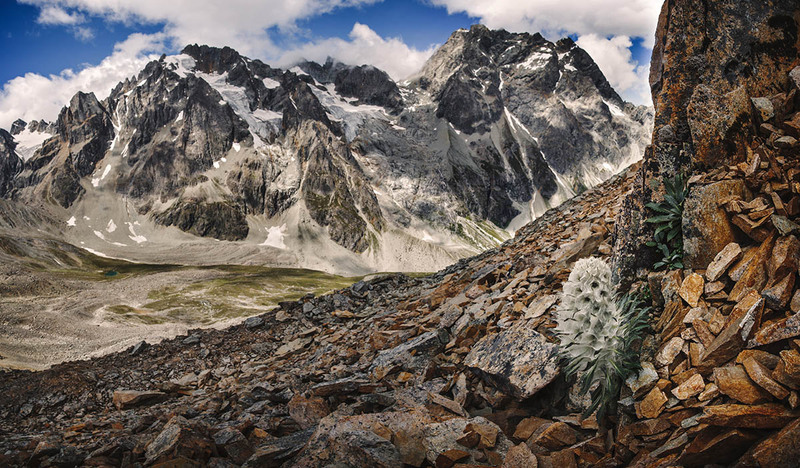 With peak elevation of over 5000m, the heavenly Baima Snow Mountain is regarded as a sacred place by Tibetan Buddhists. The beauty and rarity of this Saussurea laniceps add to a natural sense of reverence for this special place. It is the most effective (and collected) snow lotus species used in both Tibetan and Chinese folk medicine.